Offering you a complete choice of products which include distribution transformer with oltc. 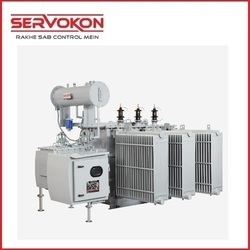 Servokon is a prominent manufacturer of distribution transformers with OLTC that are specifically used for converting and distributing electrical energy with high voltage to lower voltages. Looking for “Distribution Transformers with OLTC”?